The season is changing and so are the trends. The sun has come out brighter and hotter. The way you dress up in winters is absolutely different from what you opt for in winters. Same goes for the hairstyles. Therefore the sleek and open hair can not do for you in the daytime anymore. Summer has brought with itself some interesting hairstyles to sport for you. Keep reading! Because below are a few hairdos that are easy to make and in alignment with the latest trends. So sport them or just brag your knowledge, do what simply makes you happy! Take a few drop of oil and apply on your damp hair. Straighten your hair completely and part them from the middle. After that, take a three barrel wave curler and use it to make your hair wavy from mid shaft to the ends. Set your hair in the end with the hair-setting spray. This one makes a perfect hairstyle for spring. All you need to do is part your hair from the middle and apply some hair moose on both ends. Make fishtails on both sides and let the strands be loose and messy. 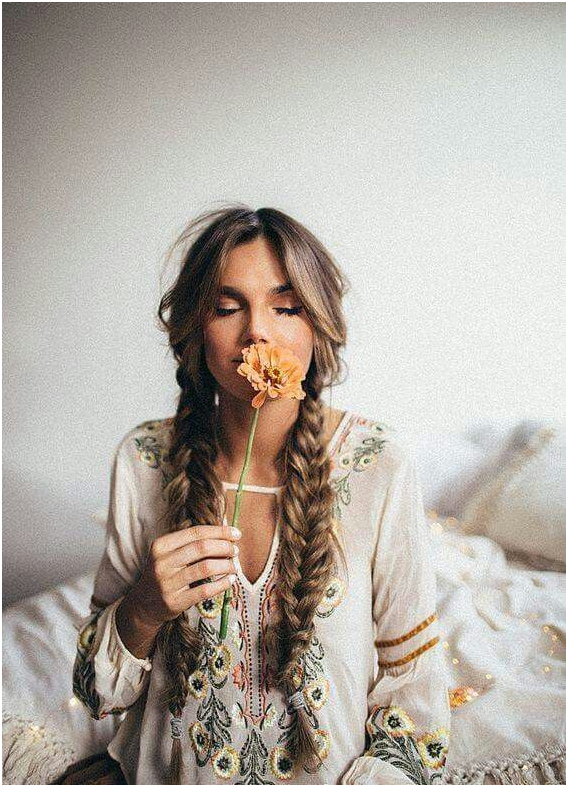 Loosen each braid up in the end. You can accessorize it with little white flowers. It is one simple yet chic hairstyle for this summer. You can just take a plain or a more trendy ribbon for it as per your preference. Make a sleek and straight ponytail with your hair and tie it with a band to keep it tight. Wrap the band with a silk ribbon. Set the ponytail with a hairspray in the end. The summer 2017 hairstyles cannot complete without a fine curl trend. The curls this year are big, messy and bold. And yes, a little wet as well. 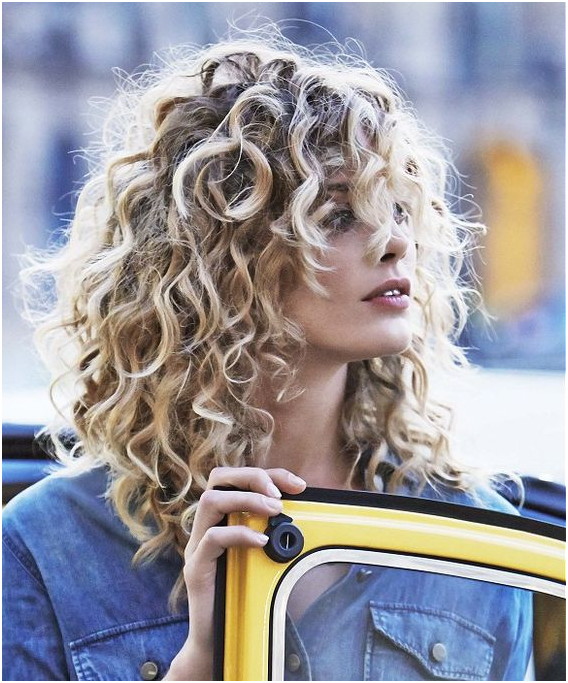 Curls are always a fun choice, especially when they look and feel more natural and messy, rather than the super clean bottleneck curls that were trending in the previous season. 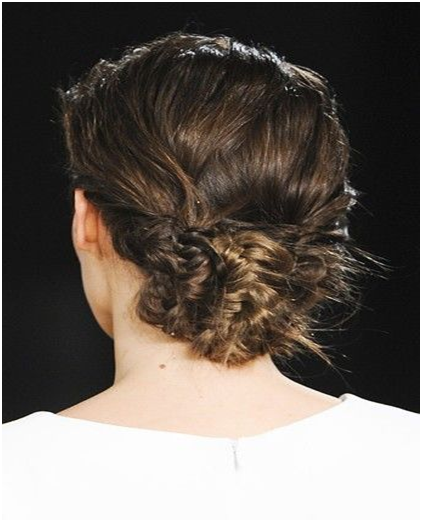 The low slung braided bun is a more feminine and soft hairstyle trend for this summer. This is a brilliant choice of hairdo for special occasions, and you can even sport it in weddings for sure by accessorizing it with a barrettes, bows and flowers. It is easy to make, and gives you a more romantic feel. This post was written by Beth Martel. She is a mother of two, a medical professional and a humanitarian. She blogs at HealthyRecharge.com. Check out the three best selling bridal hair combs that are exactly what you need for a special occasion.